June 03, 2017, 5:51 p.m. 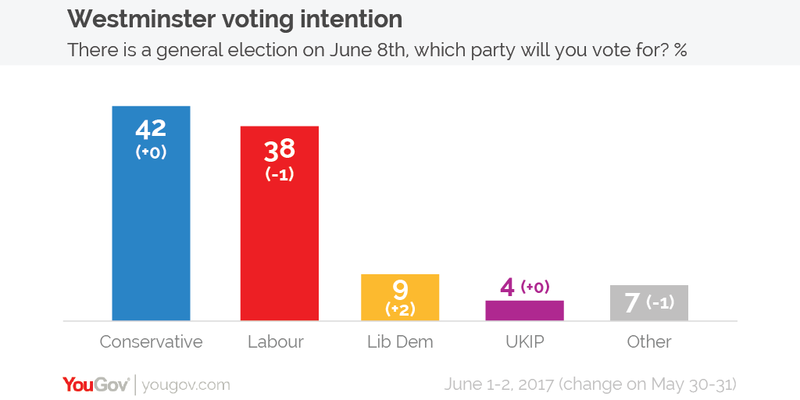 The latest YouGov/Sunday Times voting intention figures show the Conservatives on 42% and Labour on 38%, giving the Tories a 4 point lead. Elsewhere the Liberal Democrats are on 9%, with UKIP on 4%. Votes for other parties stand at 7%.